How to Select the Best Cordless Electric Chainsaw? Homeowners should be very careful when deciding on any particular cordless electric chainsaw. They should first consider what their need for the chainsaw is, followed by their household’s requirements. Is your yard expansive with quite a few trees needing attention? Or is it a small garden with smaller trees needing maintenance? Once you’ve identified your needs, the buying process begins and you can work out what’s affordable and within your budget. There are many cordless electric chainsaws for sale. The hardest part is finding the best one for your needs. Not every chainsaw is suitable for every job, which is why we’ve put this buying guide together, to identify those which will be suitable for your particular requirements. If you’re after a commercial grade chainsaw which can help take down forest lots as a professional lopper, a cordless electric chainsaw is not for you. If you need something for the odd lopping in the yard, you may find it’s exactly what you’ve been looking for. As the average chainsaw accident requires 110 stitches, it pays to stay safe around your equipment. Cordless electric chainsaws are no different. Even if you’re a professional, don’t get complacent. When operating your chainsaw, you should ensure you’re comfortable handling it, and that it’s not too heavy. Does it have a top handle or a rear handle? Which do you prefer? You should also check all the components such as the controls, chain tension, handle, chain sharpness and belts to ensure everything is in working order. If you’re looking for efficiency, you will certainly find it with a cordless electric chainsaw. Because it doesn’t run on gas, you are able to use it for the entirety of its charge time with zero emissions into the environment. There’s very little maintenance as well, therefore it’s quick to start, quick to use, and quick to put away. This is the epitome of efficient. Each and every chainsaw manufacturer aims to offer something different to put its brand ahead of others. Be on the lookout for standout features such as self-sharpening blades and batteries that last longer than any other. Batteries that last longer than average will be the main feature you should be looking out for in each model. The great thing about cordless electric chainsaws is the lack of maintenance. Although not all brands are the same, most offer push button starts, self-lubricating chains and very few problems with wear and tear. You will find these particular saws are perfect for those who just need something for minimal home maintenance. You don’t need to worry about fuel or spark plugs. When it comes to purchasing the best cordless electric chainsaw/s for the money, you need to be sure the chainsaw will effectively meet your needs. Do a feature comparison against the price, and look at a few options and what they offer. For example, a chainsaw with more amps may be a better price than one with less amps, but its battery life might be shorter. Weigh up the pros and cons in comparison to the cost, and this will ensure you get the best bang for your buck. A9.4 x 36 x 9.3 inches. QWhat battery does it come with? A30-60 minutes of continuous use, approximately. The DeWalt DCCS690M1 is an excellent example of a battery-powered chainsaw that gives you full control and efficiency. The battery life is mid-range, but it has an incredible amount of power which allows you to do a lot of home maintenance with ease. It’s easy to start, easy to maintain, and almost anyone can use one – whether you’re professional or amateur. It also has low kickback, and a chain brake for when it does occur. It auto-oils so you only need to refill it, and it has a variable speed trigger as well. Overall, for the money, this battery-operated chainsaw is a winner. Check out what other people who purchased this product think about it. Read DeWalt DCCS690M1 cordless electric chainsaw reviews. QWhat is no-load chain speed? If you thought the electric battery chainsaw couldn’t require any less maintenance, the Oregon CS250-E6 arrived! With its self-sharpening blade, it takes the term ‘low maintenance’ to a whole new level. Simply check the chain oil levels, give it a wipe down and that’s maintenance complete! It has amazing cutting power on one charge, requires no warming before use, and it’s known for its reliability. This chainsaw is definitely a great option for those looking for something exceptional for the money. Check out what other people who purchased this product think about it. Read Oregon CS250 cordless electric chainsaw reviews. QWhat is the battery life like? QHow big is the bar and chain? QIs the battery interchangeable with other EGO Power+ products? 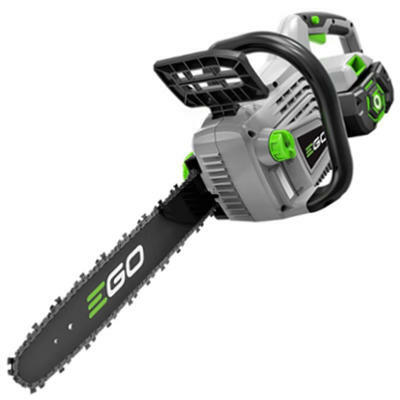 The Ego Power+ chainsaw is easily one of the most convenient battery-operated chainsaws on the market. Because of its interchangeable batteries, it enables you to swap power tools with ease by simply putting the battery from one tool into another. It has great battery life coupled with a high efficiency motor for extreme power. It’s also weather resistant which is another plus and offers premium safety with a chain kickback brake. Overall, the Ego Power+ chainsaw is effective for home use and many homeowners love the five year warranty that comes with it. Check out what other people who purchased this product think about it. 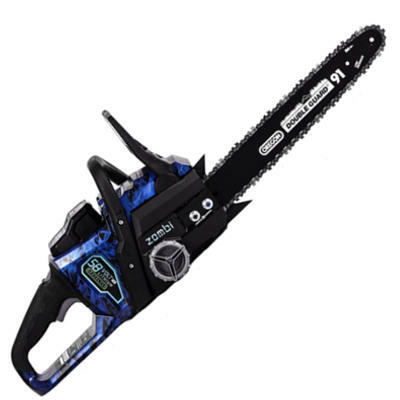 Read EGO Power+ CS1403 cordless electric chainsaw reviews. QWhat is the chain and bar length? QWhat is the battery type? The Zombi electric chainsaw is a little overpriced for what’s on offer. Although it comes with a five year warranty for your peace of mind, the build of the saw looks and feels cheap. The design is nice and different however, and the battery life and power is great. It also offers a battery life indicator so you know when it’s time to swap out the battery. Overall, it’s not a bad saw, but priced against others online with similar features, it doesn’t rate as the best. Check out what other people who purchased this product think about it. Read Zombi ZCS5817 cordless electric chainsaw reviews. QIs the battery interchangeable with other GreenWorks products? 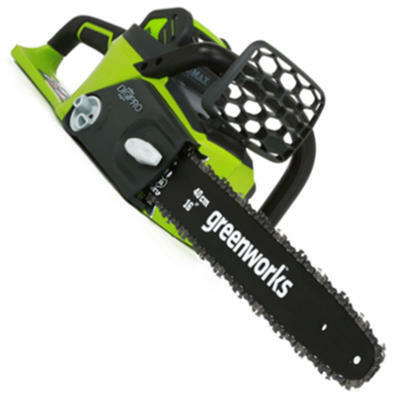 Lightweight and affordable with great battery life and a strong bar and chain, the GreenWorks cordless electric chainsaw is a good product. The only thing that lets it down is its manufacturing fault with a leaky oil reservoir. Some users also experienced no battery life because of a faulty batch. However, the manufacturers are very open and communicative in fixing any issues. It’s a great saw for a great price and many consumers are happy. Check out what other people who purchased this product think about it. Read GreenWorks 20312 G-MAX cordless electric chainsaw reviews. 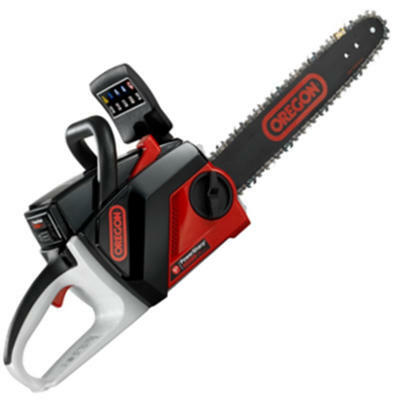 There is a large price variance in cordless electric chainsaws. This will vary from brand and manufacturer through to model. If you are looking to purchase a new battery powered chainsaw, it helps to refer to our buying guides with product features to work out how to get the best deals. 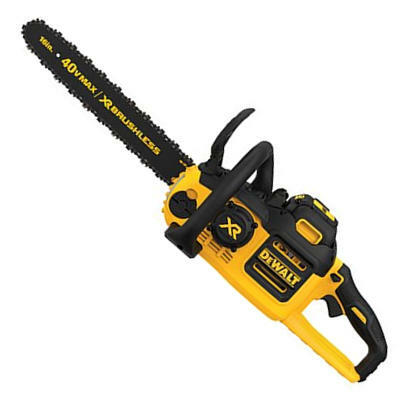 Prices can vary for these chainsaws from as little as $79.00 to $500. This would include the battery, chain and bar, and optional bar lube as well. Price is normally an indication of quality, but not in all cases. Read reviews, find out what’s for the home owner or the professional, what’s top rated and what’s not, and do your homework. Always be ready to make a comparison between the safety features of two chainsaws. You want the best for the money. Where to Buy Cordless Electric Chainsaw? The United States has an abundance of stores offering top quality battery powered chainsaws with the best deals. However, it pays to shop around and find out what’s on the market. Often the best deals can be found online, on websites such as Amazon. In this buying guide we outlined some of the best cordless battery operated chainsaws on the market – each are available in different physical and online stores.